Living… in the Bathtub, a southern Lousiana town cut off from the mainland by a levee. Hushpuppy calls it “the prettiest place on Earth,” and she enjoys her time there with her sick dad, Wink. Profession… caretaker to her father. Unfortunately, he has just fallen ill just before a giant storm is expected to roll into town. It’s a big responsibility for a six-year-old, but she loves him too much to do anything but the right thing. He taught her well. Challenge… surviving the storm, helping her sick dad get better, and finding her mom. 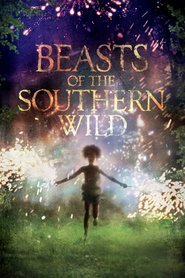 It’s a lot for a little kid to handle, but Hushpuppy has learned from Wink how to fend for herself and thrive in a scary world. No one else her age could deal with the prehistoric monsters that are freed when the ice caps melt. But no one else in the world is quite like Hushpuppy. Hushpuppy's popularity ranking on CharacTour is #829 out of 5,000+ characters. See our top-ranked characters and read their profiles.